Helllllllloooo three day weekend! Ahh. I've been looking forward to this weekend for a while now. My Dad and step mom are here visiting and I took the day off work today. So! Today we're off being tourists in our own city. But before I go all Instagram and Snapchat crazy, let's share a little random five, shall we? I made this recipe last year on a whim and it was SO. GOOD. that I had to make it again this year. If you've never made any of Mix and Match Mama's recipes, you're definitely missing out! Her recipes are simple, quick, and easy and SO good. I've made several ranging from dinner recipes, dessert recipes, drink recipes, and more! While I definitely don't need these, when I saw them on Aubrey's blog last week, I thought they were SO cute! She made them for her friend's gender reveal and I never knew how easy they really were to make. No more Etsy for me! I'll be making these should the occasion arise. I mentioned the other day when I shared Mason's Easter basket that I'd hook you up with some monster truck info. Well, here we go! These were the first monster trucks that we got. Blaze was the very first one and I found it at Target on sale for $3.49. I knew after getting one that I wanted to get more for Mason for Easter so I went back to check while they were still on sale and I found Crusher . Shortly after we got Blaze and Crusher, I found Stripes at Target (for regular price of $4.99) and ended up giving it to him for doing so well potty training. Seth found Pickle, Zeg, and camo Blaze at Walmart the other day for $4.44 each. He texted me saying he found them and I immediately told him to get them. I'd never seen them at Target and they seem to be hard to find, so I told him to scoop them up then! I found Gus and Joe at Target randomly the other day (for regular price - $4.99) when I was there shopping for something else. I think they were brand new because neither of them scanned when I took them to the cash register. Side note : I linked to them all on Amazon because it was the easiest to find them all but I would highly recommend NOT buying on Amazon because they are SUPER expensive there. Look at Target and Walmart first! It's so close to MLB's Opening Day and we are pretty excited over at my house! With Seth going to Arizona to see some Angels Spring Training games last weekend, he's definitely ready for the real baseball season to start. I must admit that I never really liked baseball before I met Seth but now I am a bandwagon Angels lover and I couldn't be happier to announce this fun new link up to help celebrate MLB's Opening Day. 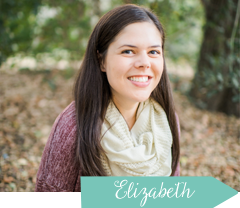 I've teamed up with some of my favorite bloggers to share our love of the Angels starting on Monday, April 4th (MLB Opening Day)! Posts will go live on Monday, April 4th and the link up will stay open through Sunday, April 10th. 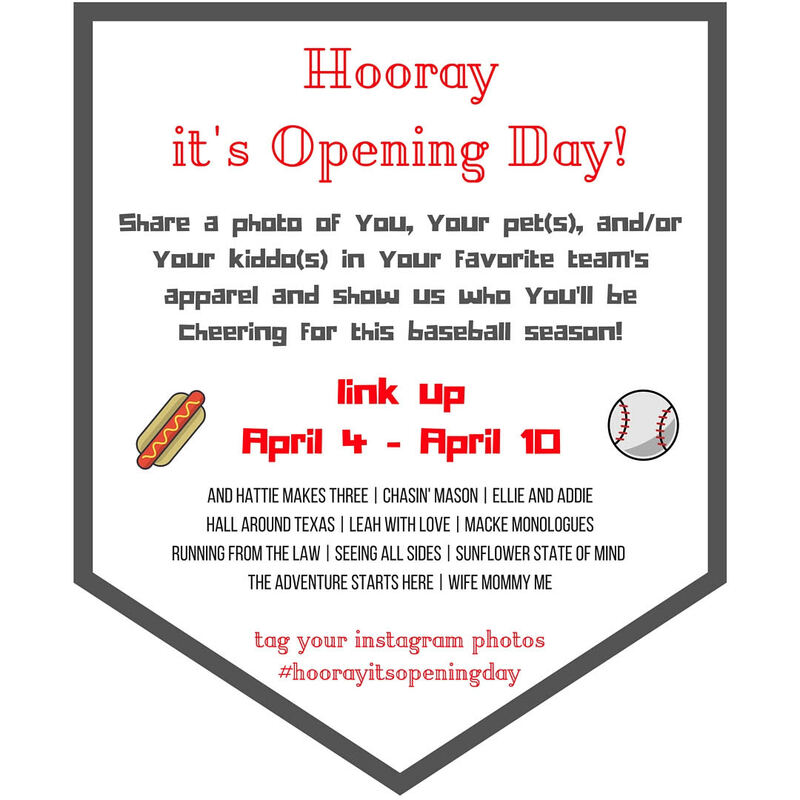 So, dress your kids up in your favorite baseball team apparel and show your support for your favorite team with us. Heck, even dress yourself up! Or your pets! We hope you'll join us and celebrate MLB's Opening Day! And... that's all I got! I'm off to have a fun day exploring with Grandma and Grandpa. Happy Easter weekend! Chris was in Seattle for work and swung by a target and found Gus and Big Horn... Score! Our target never has anything but blaze and crusher! And yay for the linkup... I love seeing kids in fan gear!!! Have a wonderful weekend! Those bars look so good!! Yum! We will have to try those. Holy monster trucks!! Ha ha! But what. Happy boy you'll have on your hands. Worth it! Have so much fun today with your fam. Happy Easter friend. Super cute round up this week. You and those trucks! So fun! Those monster trucks are awesome!! They are the perfect "reward" for our boys! Those bars look so delicious! Looking forward to the opening day link up - how fun!! 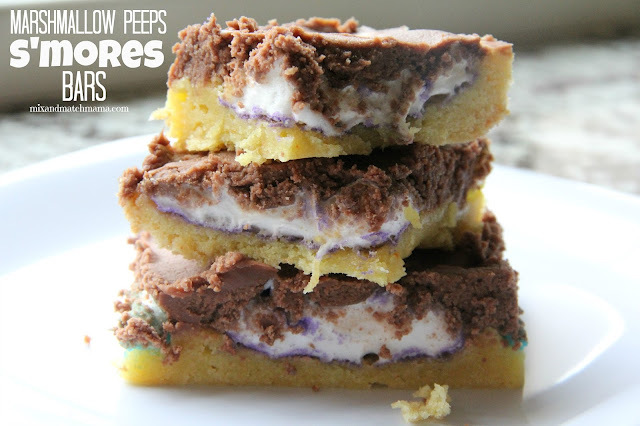 You had me at Marshmallow Peeps S'mores Bar. And we love the filters too - my daughter Sadie loves "doing Snapchat" lol. Peeps turned into melty goodness taste better? I saw a peeps likes mores dip I think it was. It looks SO cute, but I hate peeps ha. Those bars look so good! I just recently started following Shay's blog and love it! I too just recently discovered the filters too- I always wondered how people did certain things and oh my gosh, some of them are hilarious! I saw some of your snaps :D Too funny! Gus and Joe? Never heard of them. Guess I need to start paying more attention when Blaze is on. I was basically drooling as I watched you make those Peep S'more bars on Snapchat. YUM!! Ok. I really, really, REALLY want to try and make a date night to see the Royals v. Angels. I know the games are later, and on a week night, but I really want to make it happen. If we do... Double date??? Peeps s'mores, Im ALL OVER IT!!! :) Im not going to make any promises but if I can get my act together Ill definitely join in on the link up fun! Those peep snacks look like so much fun. I need to go see if I can score some on clearance at Target :). Hope you survived the dreaded Monday. I'm excited for the Opening Day link up. We are HUGE Ranger fans here...so, you're basically our biggest rival, but that won't get in the way of a good link-up! Ha!!! I'm excited to see who everyone is rooting for! I am loving seeing Mason with all those fun filters! They are so funny. And I love the link idea! We had tickets to Pirates Opening Day next weekend but sold them so that we could go to North Carolina this weekend. It would be nice to go to both but not smart budget-wise. We will be watching from home! Oh, I missed this - so much good stuff here. First off, those bars look AMAZING!! 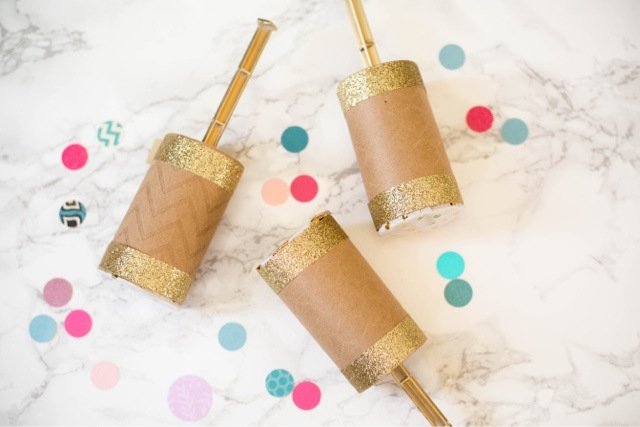 I totally want to do those confetti push pops!! Tyson got Blaze in his basket from Grandma and was so excited, I thought of Mason. :) Sorry, don't do baseball. OMG snapchat filters have me LOLing all. the. time.